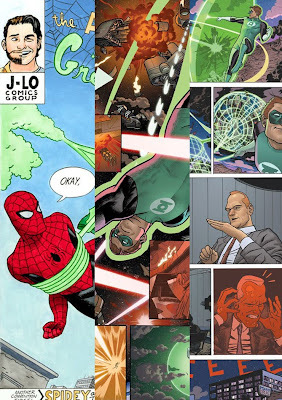 Joe Quinones' interweb-log: New Store Items! Annnnd here I am with my next post. As some of you already know, Paolo Rivera and I collaborated on an illustration which we sold as prints this past weekend at the Big Apple Con. What you don't know, is that I've also started selling some prints of my Green Lantern pages from Wednesday Comics as well. You can find them all for sale here at my Etsy shop. Enjoy! --Original art to come soon. Stay posted! That's a fantastic idea, Joe! Sweet! Thanks for the link to your collaboration with Paolo!